Do you go fishing? Have you ever caught a fish and had to decide if you were going to keep it or not? Sometimes there are limits to the number of a certain breed of fish you can catch and keep in a day. There are also size limits that are imposed on certain species, for example; a Large Mouth Bass might have to be fourteen inches long or longer in order to keep it in South Carolina. There are even seasons when certain fish cannot be kept if caught. As an example in Texas, according to texas.gov, Red Snapper season in federal waters closed on August 22 in 2018. In some situations where you can keep fish but only certain quantities you may have to decide if you are going to catch and release and keep the larger fish or take a chance and just reach your limit for the day. Shoplifting can be somewhat the same. You were wondering how fishing was going to tie in to Retail Loss Prevention weren’t you? Now I am not talking about catch and release because a shoplifter does not fit the right height and weight limits. I am talking about whether a store management team makes a decision if they are going to prosecute shoplifters if they are caught period. Some store managers make a decision not to prosecute anyone for theft. The reasons are varied but may include the potential danger involved with stopping a crook or the risk of making a stop and the suspect does not have any merchandise (or says they do not and makes the manager question the decision to stop). Sometimes the decision not to prosecute rests on a dollar amount. A shoplifter might be stopped for an item under $20 but will not be prosecuted for that particular theft. Let’s explore why such decisions are made. One of the major reasons for not prosecuting shoplifters, especially when the value of the item falls under a specific price point is that the amount of time spent on the case far exceeds what the value of the item was in the first place. If you choose to stop a shoplifter you will want the manager to write up some kind of report of the incident. 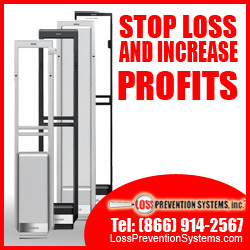 In Loss Prevention we have incident reports to complete. There is also the time spent by the manager waiting with the shoplifter in an office for the police to show up. Depending on the jurisdiction police may issue a citation to appear in court for the alleged crime or they may take the suspect into custody. Follow all of this up with time spent in court prosecuting the case. By the time all is said and done a prosecuted case can be more costly to the merchant than just recovering the product and letting the suspect go. Before you think that you have made up your mind on the direction you are going to take I would like you to think about the other perspective on this subject. Why would you decide to prosecute a shoplifting case? If you catch and detain someone, decide to release the suspect and they get into an accident you could potentially be held responsible. That is unlikely but has to be taken into consideration. If the suspect is a juvenile and you detain them you absolutely cannot release them on their own. Yes, you could choose to release them to a parent or guardian but there may be reasons it would be better to contact the police. I have seen my share of irate parents and later wished I had released the child to authorities. While it may not seem like an important reason for you to prosecute a shoplifter I would ask you to consider one more thing. 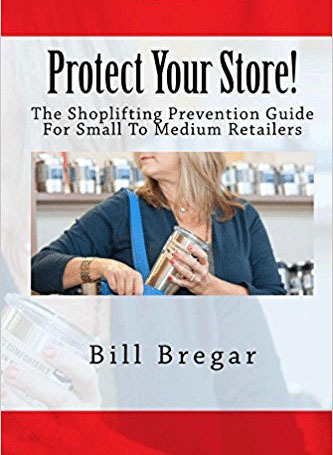 Each time a shoplifter gets caught, cries and gets cut loose with a promise not to steal again it is another crime that there is no record of being committed. Prosecuting a thief may not make a significant difference to you but in the big picture a shoplifter with no official police record is a shoplifter with a clean record. That minimizes any penalty they may get when they are finally caught and prosecuted. Shoplifters who get away with their crimes continue to hurt retailers until they do get caught and prosecuted. Catch and release when fishing may or may not be your choice. Prosecuting a shoplifter or not is up to you. Safety, efficiency, productivity and ramifications must all be taken into consideration. Ultimately the choice is up to the store owner. Just remember, whatever you decide to do be consistent and be fair with everyone you deal with.